Our summer is drawing to a close, the trees are just starting to change colour and the mornings are crisp and clear. We've had just a touch of rain and some of the fields have a new flush of green. The days calmer, the sun less harsh and it's pleasant to soak up with sun in the afternoons. It's a lovely time of year. 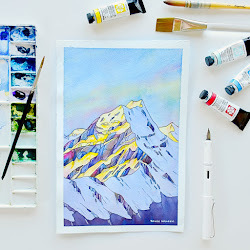 For each Wanaka Arts Society exhibition there is a general section for members to display work on any subject and in any medium, and a special section where members create a piece of work to a particular theme. 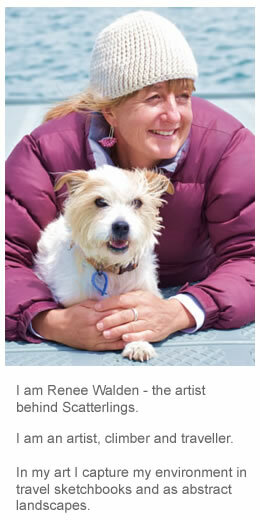 This Easter the special section was "Wings", as this year was also the biannual Warbirds Over Wanaka Airshow in our town. Above is the piece I submitted into the Wings section. It is of those wonderful, beautiful, dynamic huge flocks of Starlings that seem to fly and move like a huge of school of fish. I've seen this twice in real life, once here in NZ near a little country town called Tarras, and once in southern France. Both times it was over way too quickly. So here is "Murmuration" against one of my abstract Central Otago landscapes. In my local town there is a famous lone tree that grows out of the lake. It is a beautiful shape and has the most wonderful backdrop of the town and the mountains. Much photographed by locals and tourists alike (and for many, many wedding shots) it is spectacular in all seasons and in all weather. 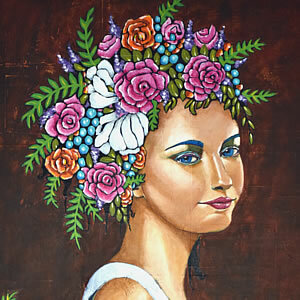 You can watch me paint the above little picture on Youtube. I'm happy to answer questions about the techniques shown in this video and the others on my Youtube channel - fire away. 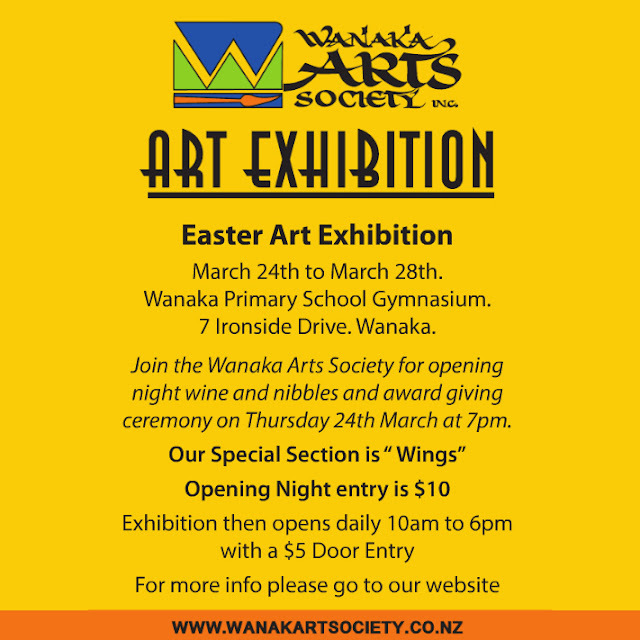 Next weekend is the annual group exhibition for my local Wanaka Arts Society. I will have 8 paintings in the exhibition - 4 small, unframed watercolour paintings and 4 large abstract landscapes (2 on canvas, 2 on wood). I am particularly excited about my entry in the special "Wings" section. There is always a wonderful selection of art at this large local exhibition - paintings, sculpture, ceramics, fibre arts and photography. 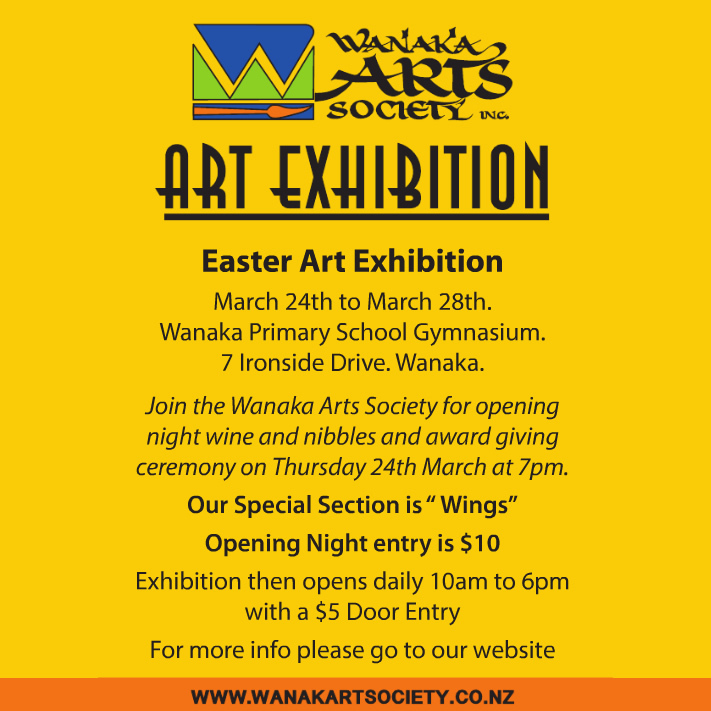 Come along if you're in Wanaka for Easter.